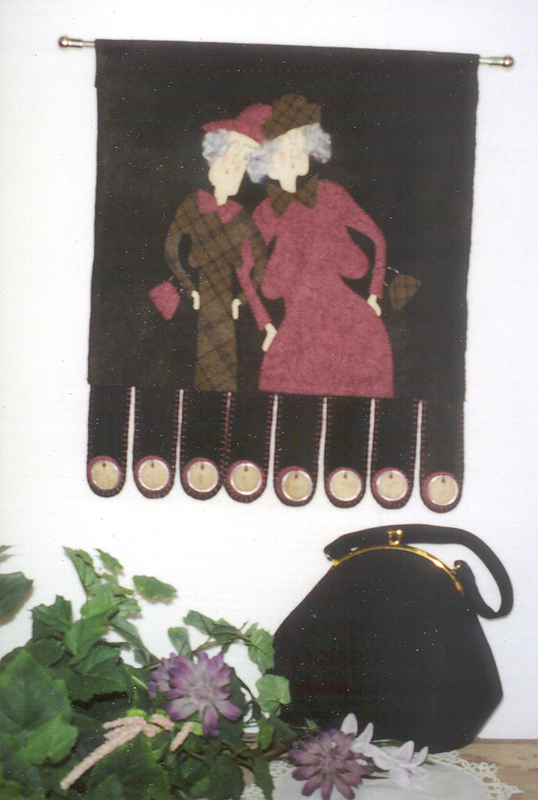 A wall quilt featuring old friends. Includes 8 metal rimmed tags to spell: "Old F R I E N D S". Finished size: 16" x 18"